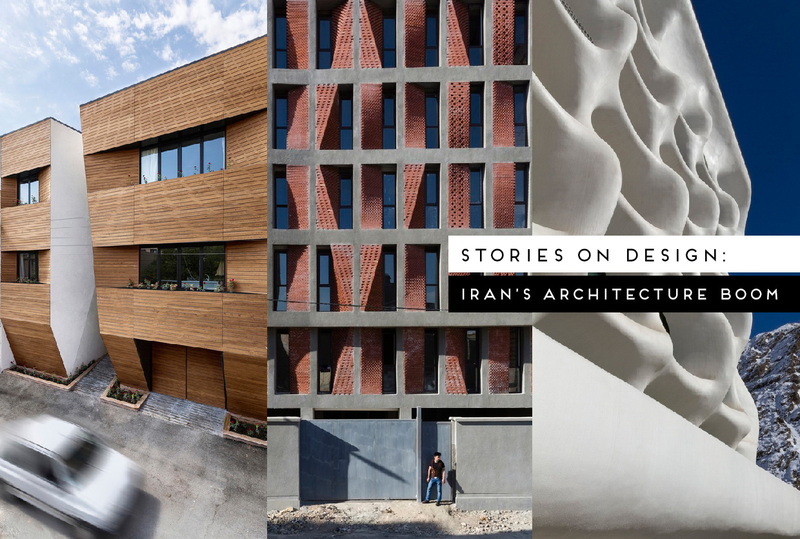 Stories On Design: Iran's Contemporary Architecture Boom. 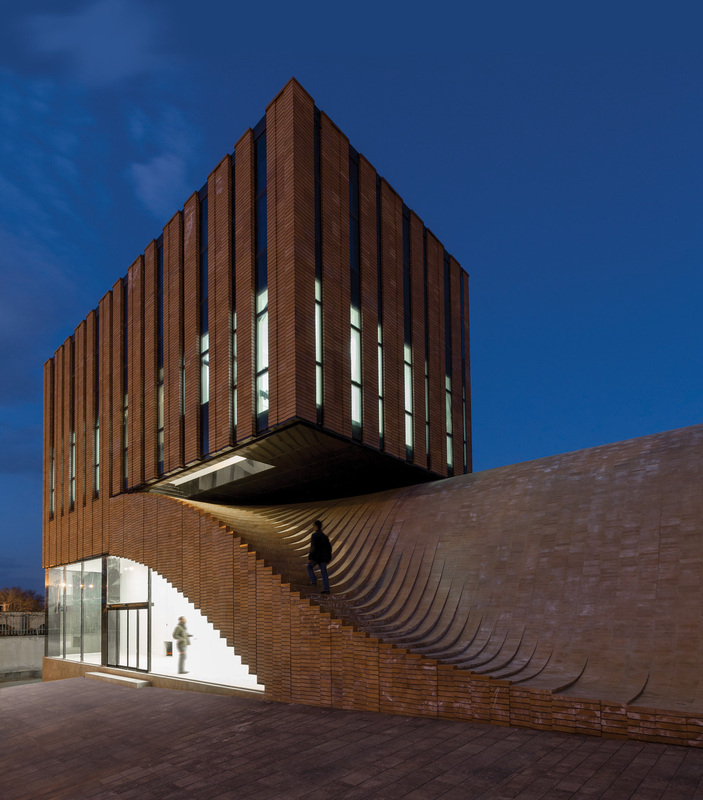 Contemporary architecture in Iran is flourishing. 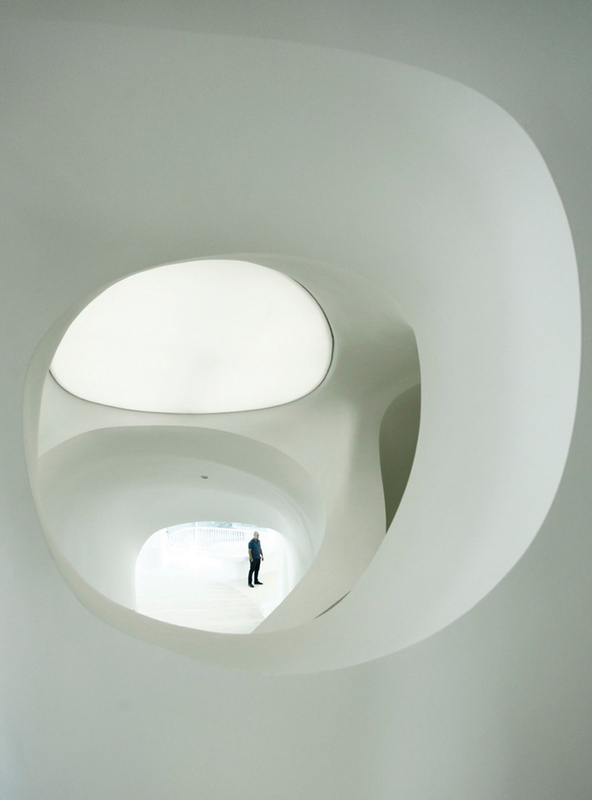 New building typologies are being explored with passion, rigour and ingenuity. There are some bold and daring statements alongside subtle and sophisticated expressions. This awakening is the result of a number of factors such including the lifting of economic sanctions and subsequent growth and prosperity. Tourism and a demand for contemporary lifestyles have also created new opportunities for local professionals and it’s the young, highly educated generation that’s driving this change. There’s been a positive focus on creating quality living spaces as well as incorporating and reinterpreting traditional features in new, relevant ways. This design boom has been on our radar for some time and today we are SO SO pumped to share some of these projects with you. 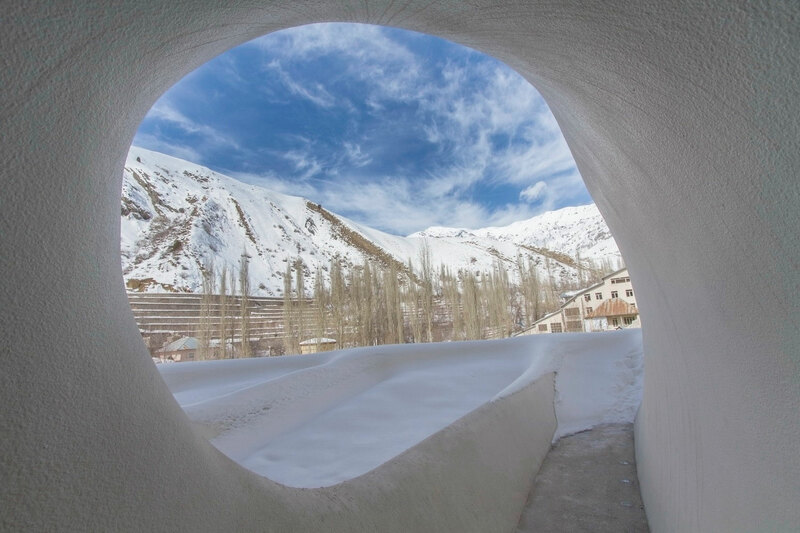 So buckle up and hold on tight because this whirlwind tours takes us around the bustling capital of Tehran, to emerging neighbourhoods, historical havens and even to snow capped mountains. And you know what, Yellowtracers? We know that this awesomeness is just the beginning! 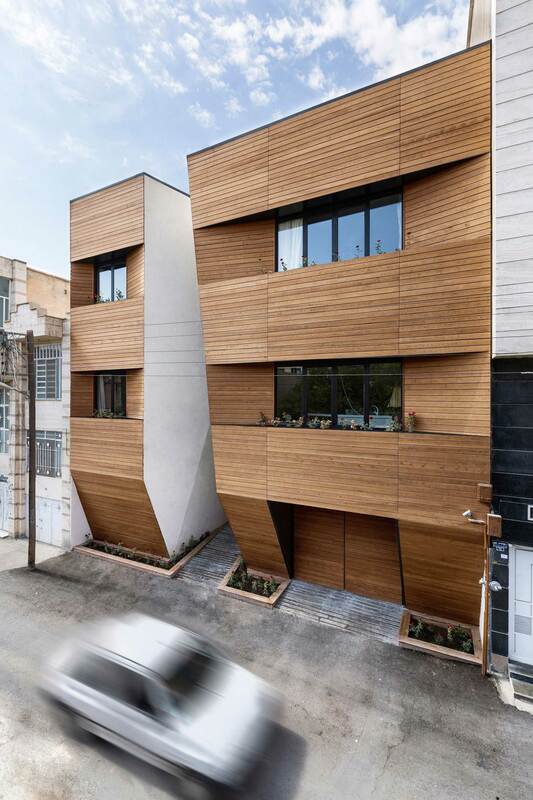 Images courtesy of Farshad Mehdizadeh Architects + Ahmad Bathaei & Parham Taghiof. 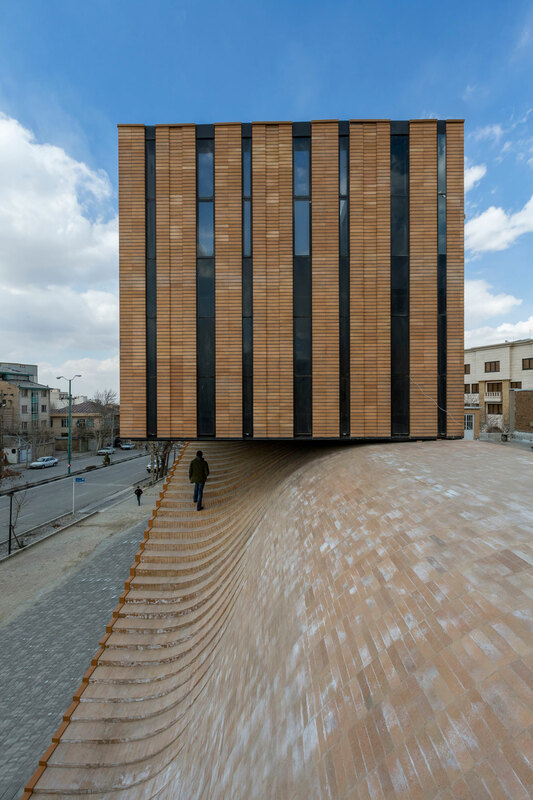 Termeh Office Commercial Building by Farshad Mehdizadeh Architects + Ahmad Bathaei // When given the task of designing a two storey building for a retail and office space, this isn’t exactly what comes to mind. 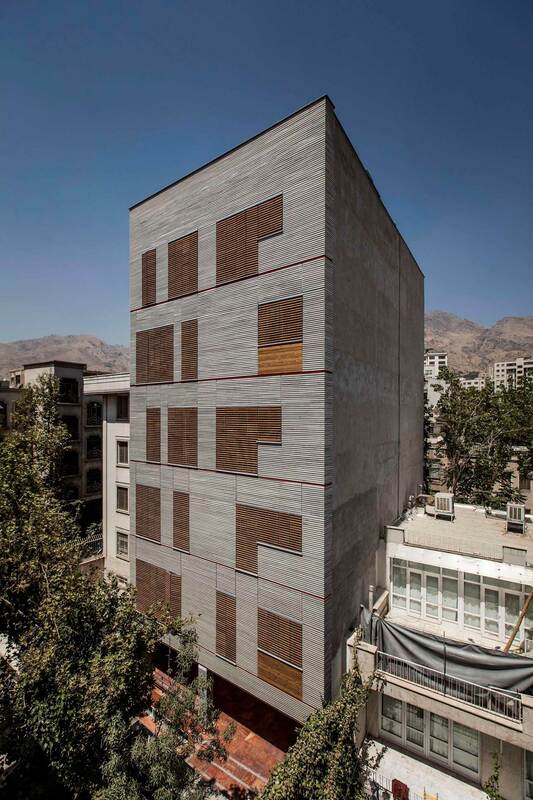 Yes folks, we start you off with the whacky and wonderful Termeh Office Commercial building by Farshad Mehdizadeh and Ahmad Bathaei. 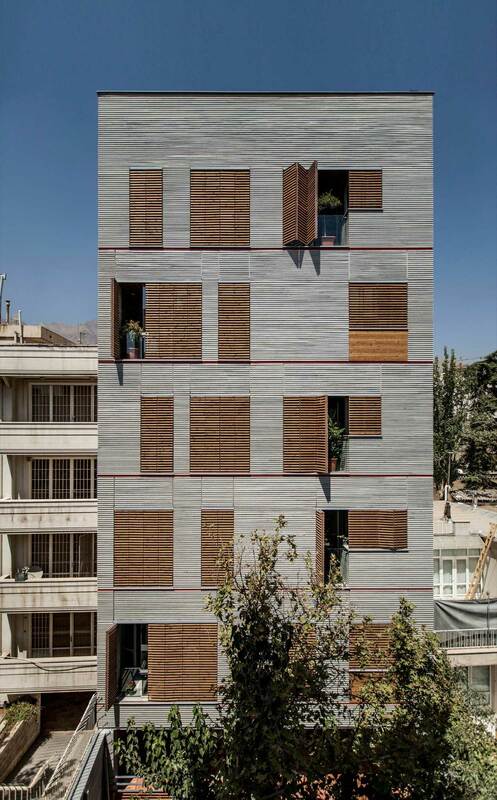 Located in the historical city of Hamedan, this project encompasses three different levels with three distinct characteristics. 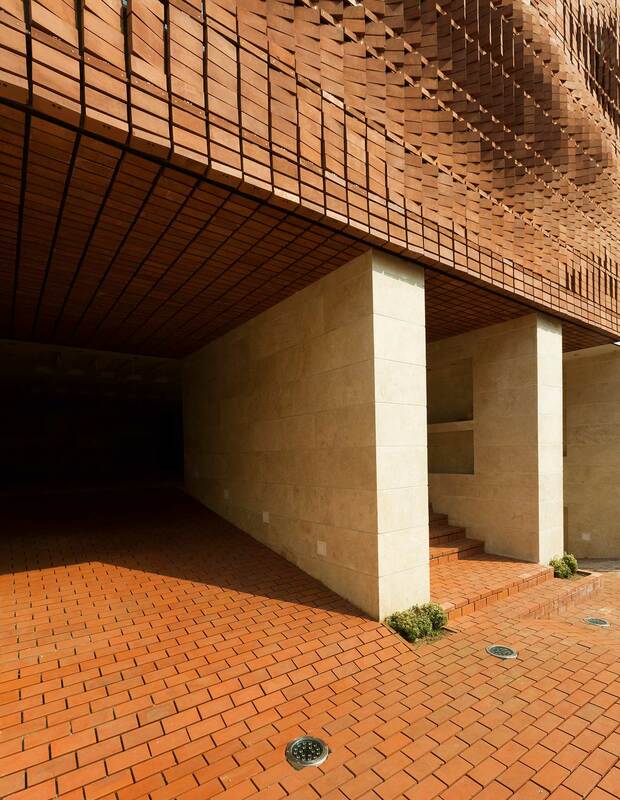 A conventional brick rectilinear form is separated by a wave shaped slab that is both the ceiling of the retail space below and the floor of the office above. 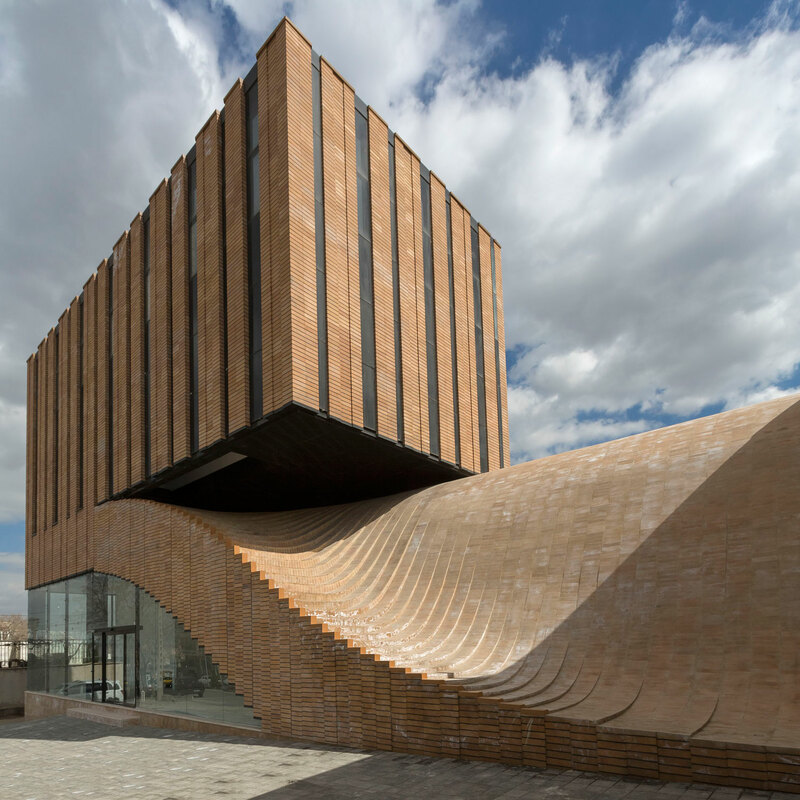 This deliciously curvalicious brick mass then unfolds like carpet forming a staircase that connects the office directly with street level. 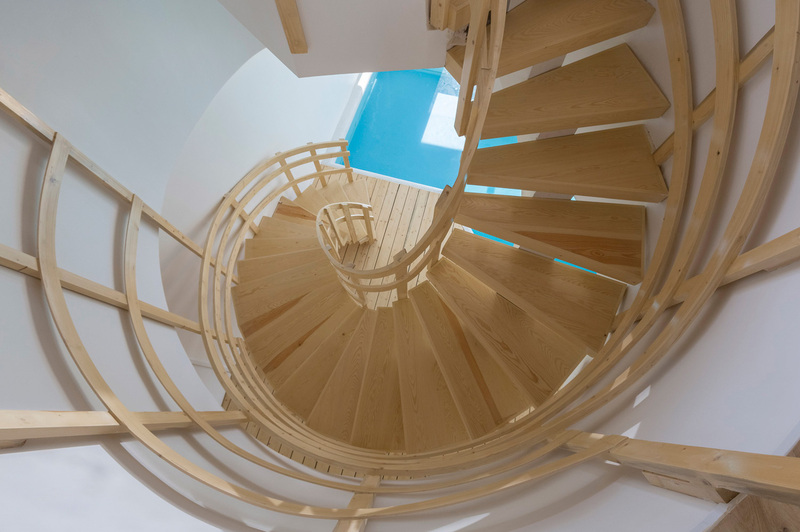 Handrails, balustrades and kerbs…tactile strips, landings and nosings? Think again! Let me stop being a kill joy for one second so that we can enjoy the pure form. Photography by Persia Photography Centre. 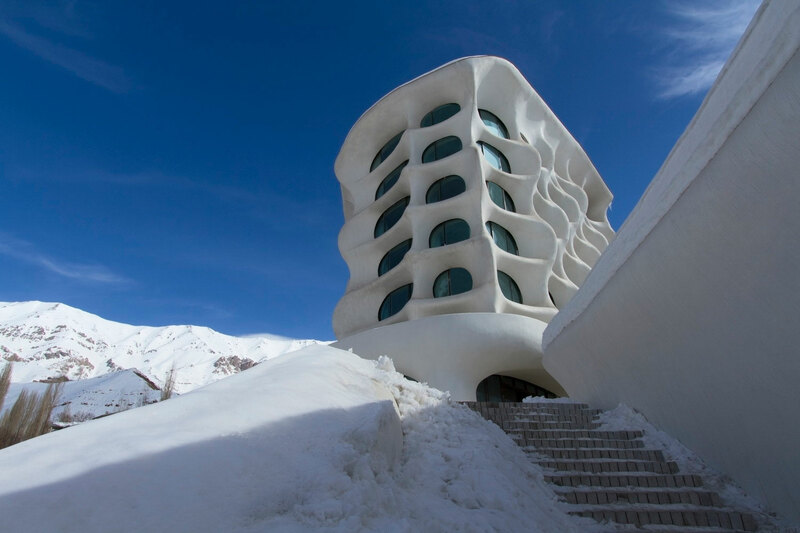 Barin Ski Resort by RYRA Studio // Located near Shemshak Ski resort is this ten storey bone-white skeletal-shaped hotel. 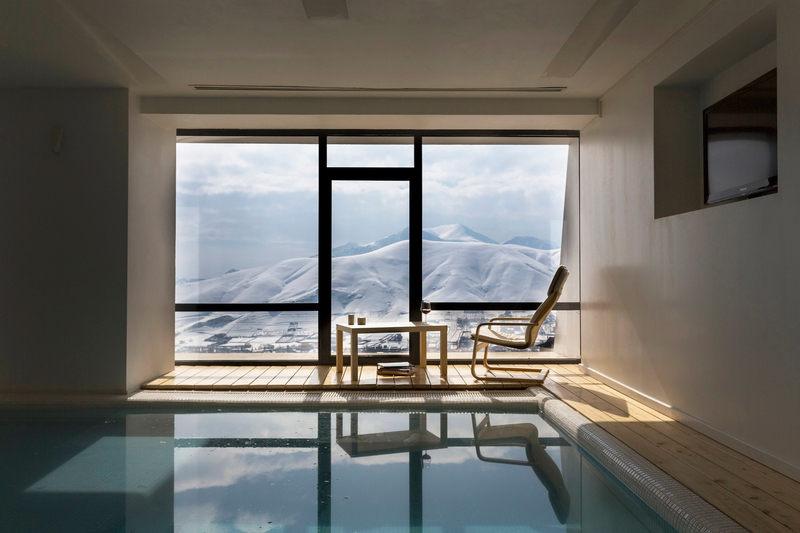 Barin Ski Resort by RYRA studio was conceived as a place for young people to relax after a day on the slopes. 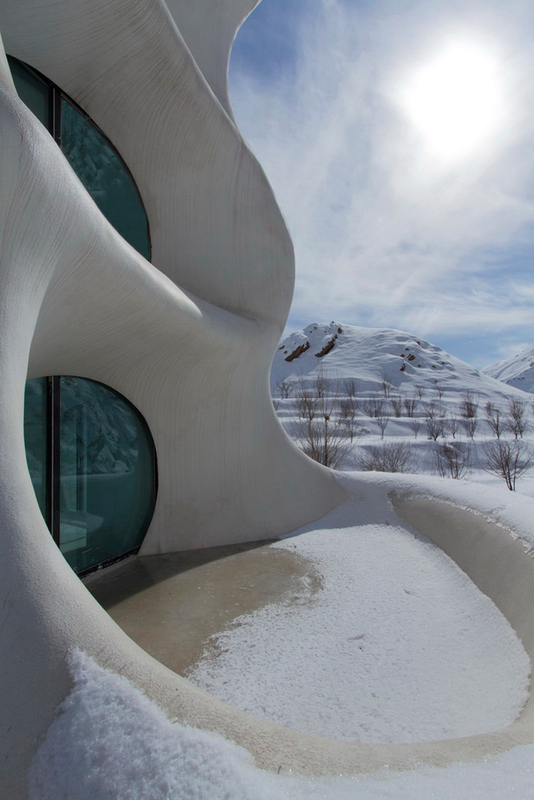 With the base build already complete by a different firm, the new architects decided to embrace the alpine landscape and design a building that emulated the fluid and undulating environment. 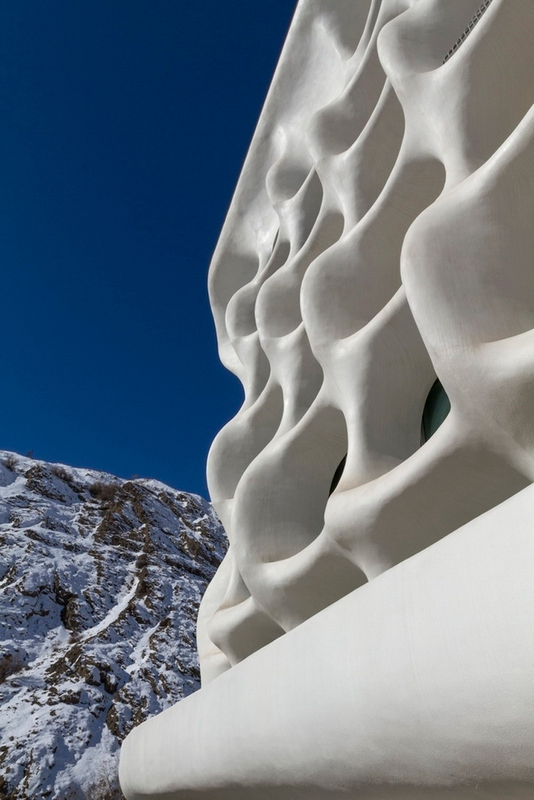 The result is striking, yet the building looks as though it were born out of the snow and windswept into the mountain-side. Inside is pretty trippy. 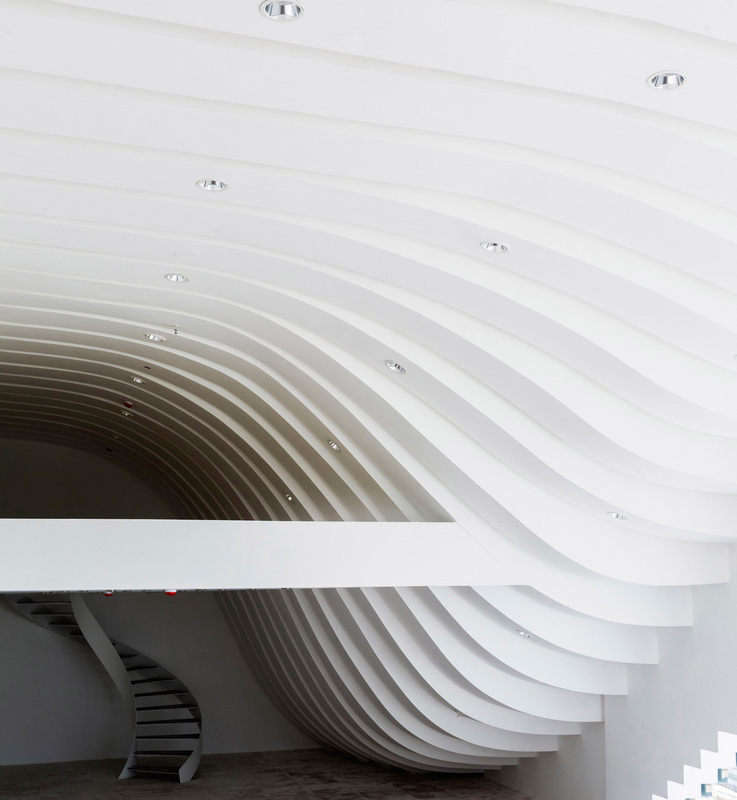 It’s defined by malleable, amoeba-like forms set against a strictly white material palette. 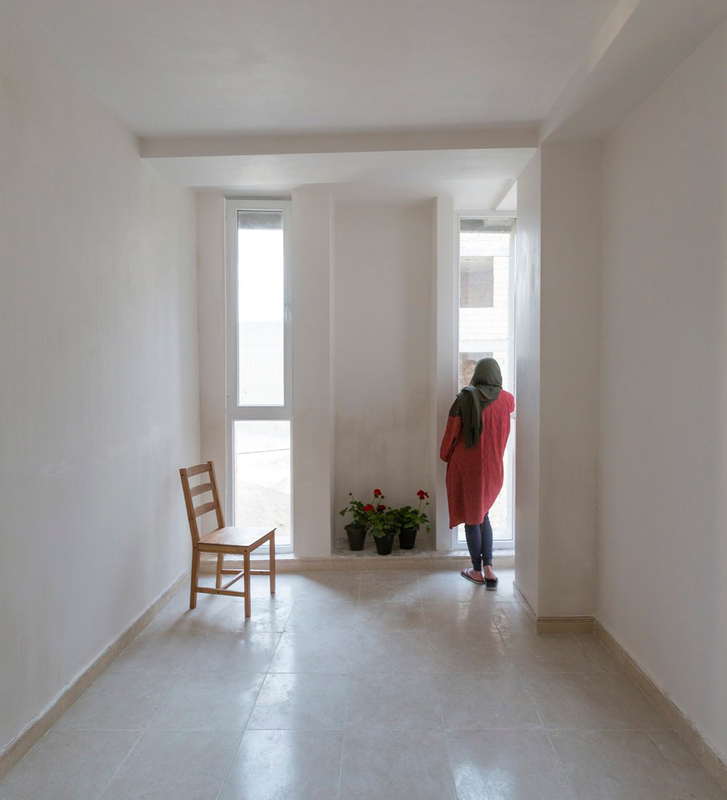 In the communal areas, elliptical openings provide obscure views into other spaces and out to the expansive landscape. The individual rooms have stepped, domed ceilings that make you feel as though you’re in a giant igloo. It is both cave-like and super space-aged…and utterly, utterly cool. 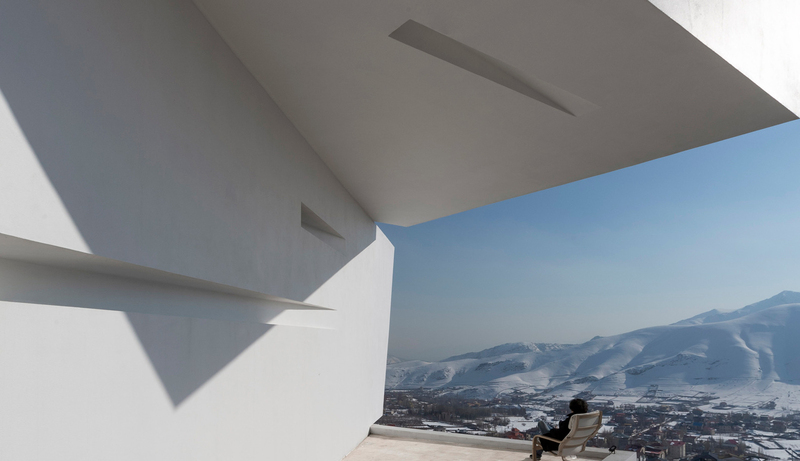 Mosha House by New Wave Architecture // Mosha House sits atop the Alborz Mountains just north of Tehran. 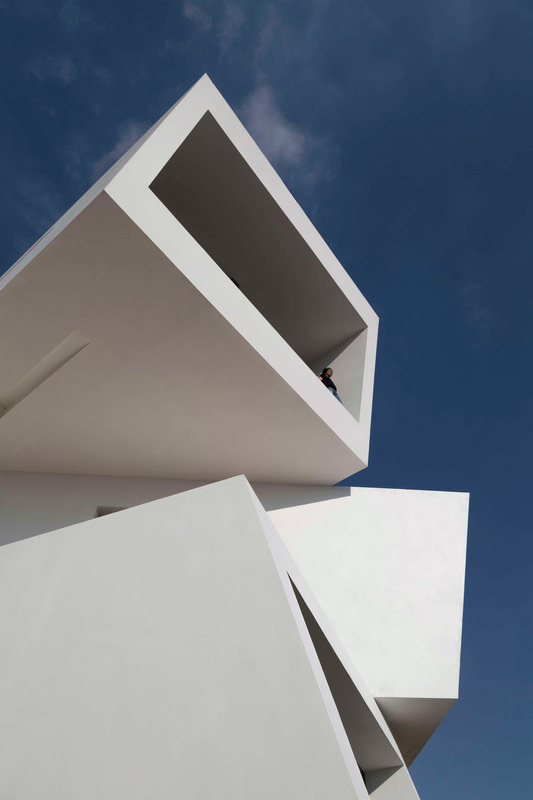 Studio New Wave Architecture was inspired to capture the breathtaking views and set about creating wide, limitless vistas. 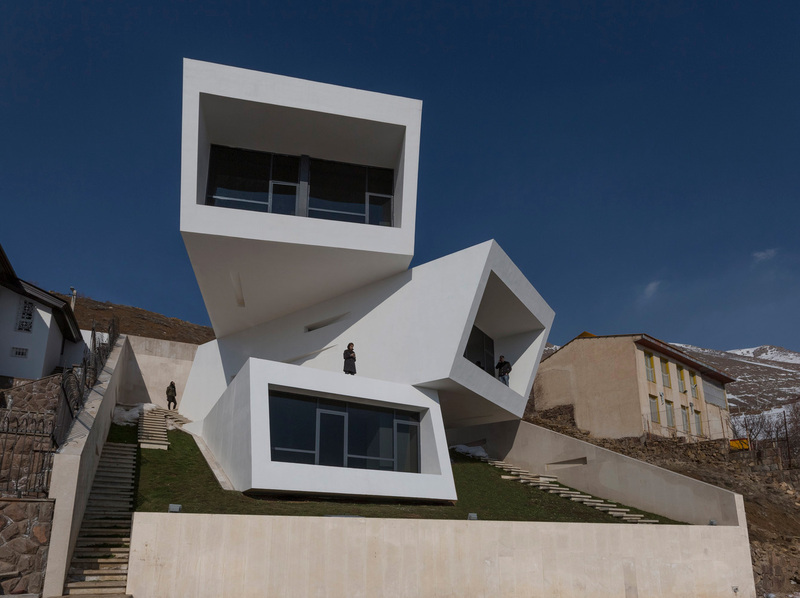 There’s an exhilarating sense of suspension as three cantilevered boxes protrude from the mountain face each rotated at a central point. 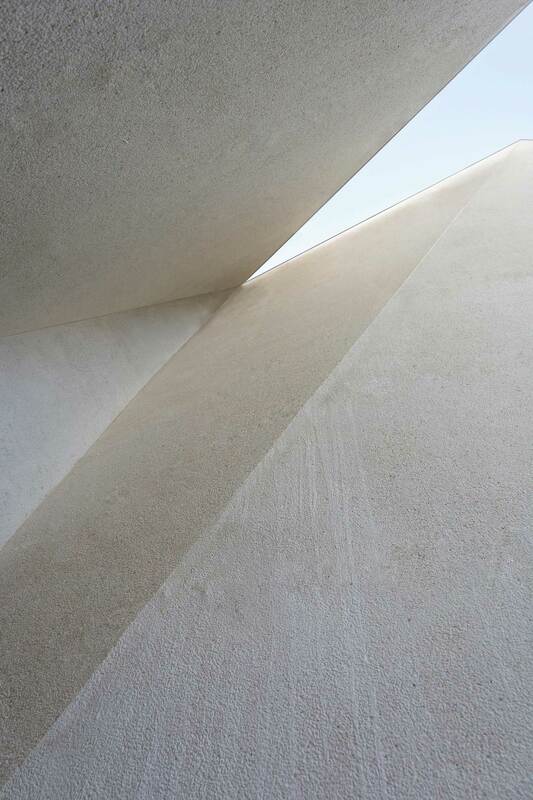 The exterior is an angular form draped in white render while the interior is mellowed by raw pale timber. 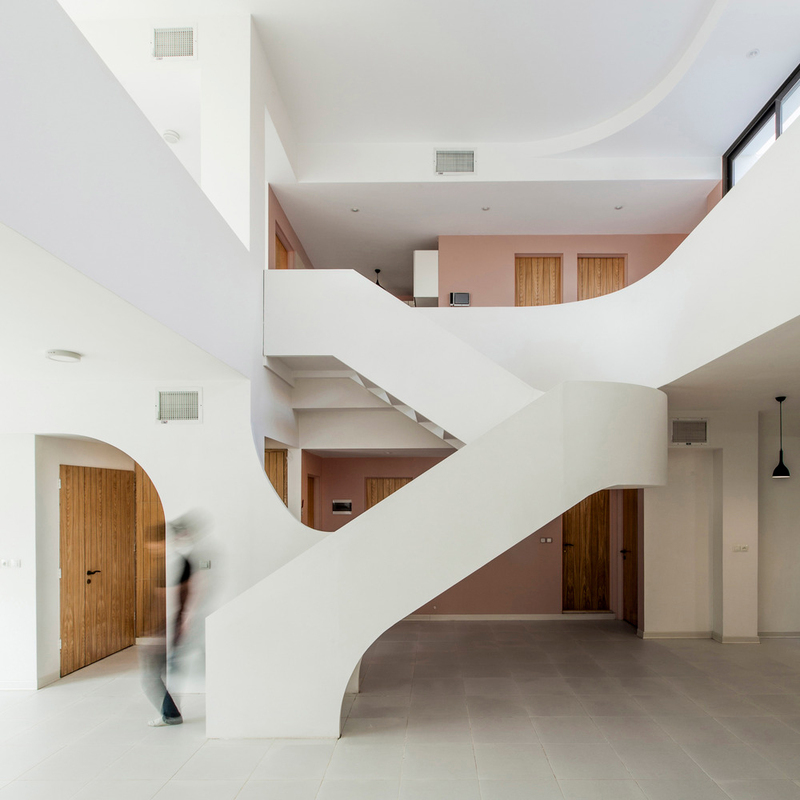 Across the three levels, functions are distributed from upper to lower level and are connected by a large spiral staircase. 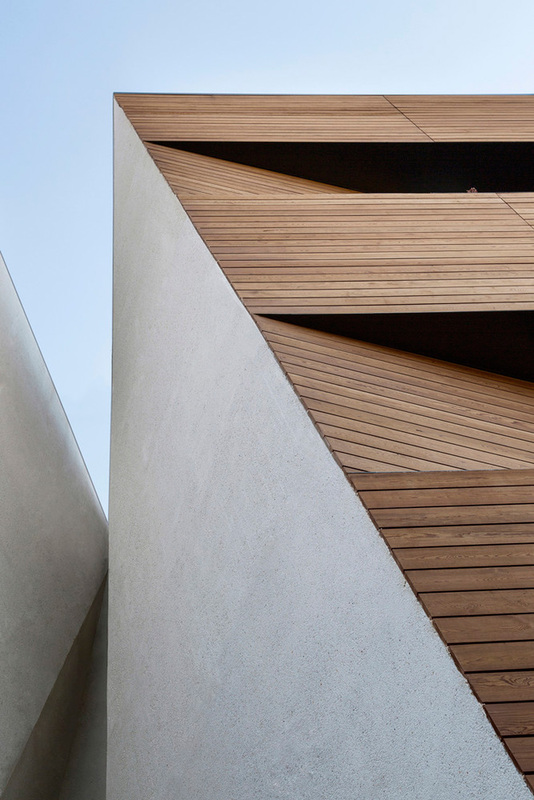 New spaces are generated from the unconventional layout where the ceilings of each story become the terrace of another and yep, you guessed it – no balustrades here. All that lies ahead are panoramic views – it’s altogether terrifying, exhilarating and downright refreshing! Bagh Jannat by Bracket Design Studio // Once upon a time the Abbasabad region was one of the oldest and wealthiest neighbourhoods of Isfahan, home to palaces and grandiose gardens. 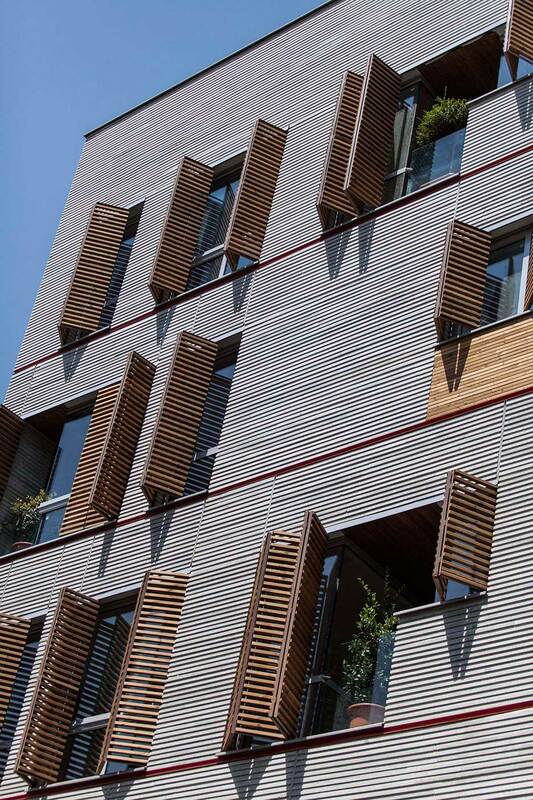 But now modern apartments with a mixture of styles, heights and densities are found in their place. 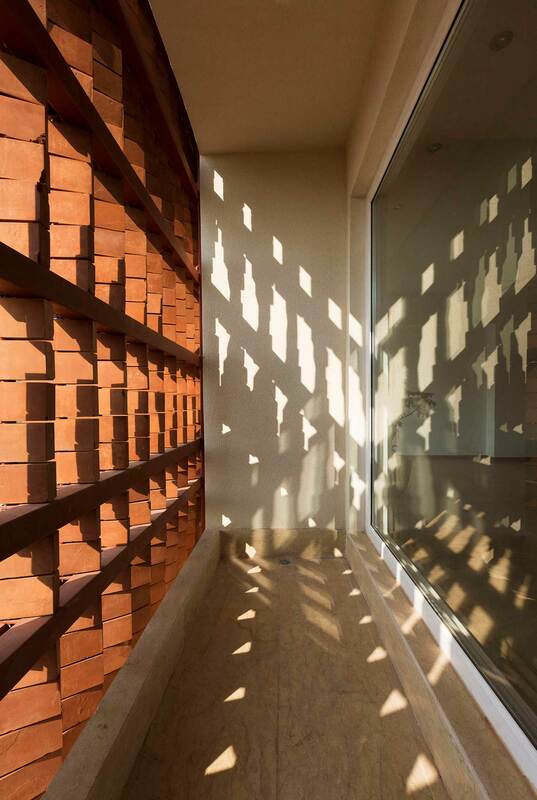 Bagh Jannat House by Bracket Design Studio is one of the few single houses within this dense maze. 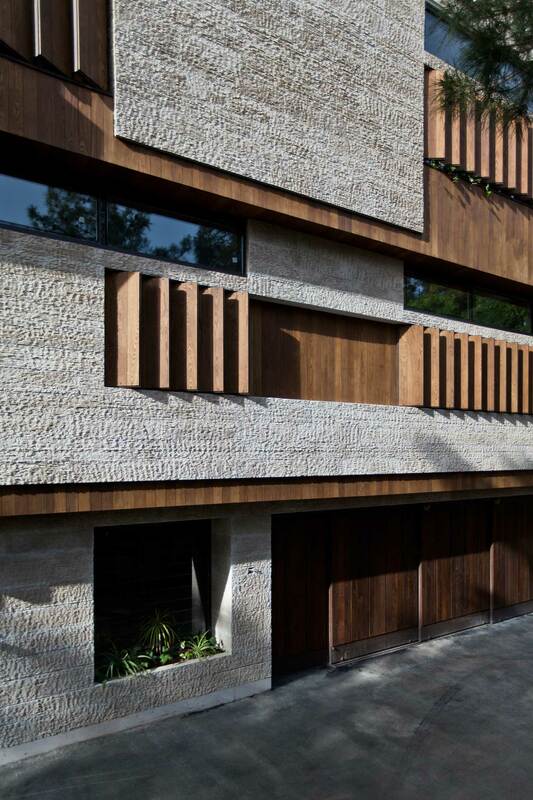 On first appearance the travertine and timber-lined house appears impermeable and closed off however cutaways, skylights, voids and unfolding façade windows allow natural light to stream in. 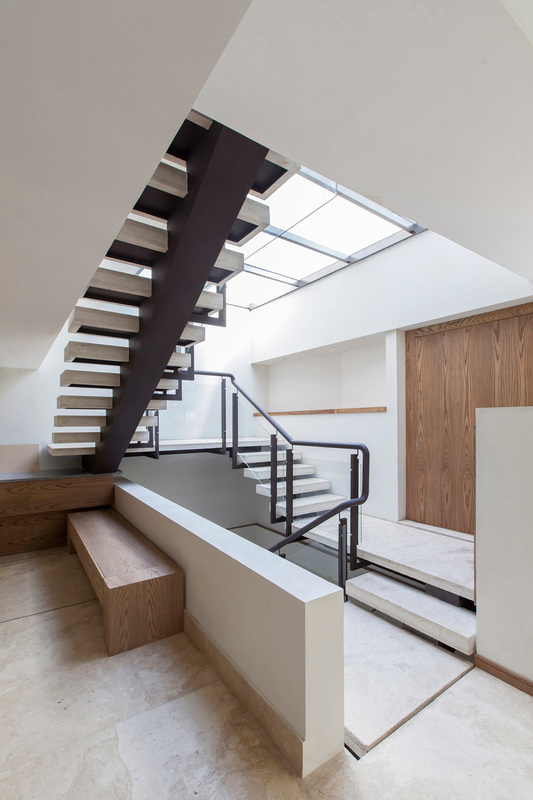 As a result the three floors inside feel light and spacious. 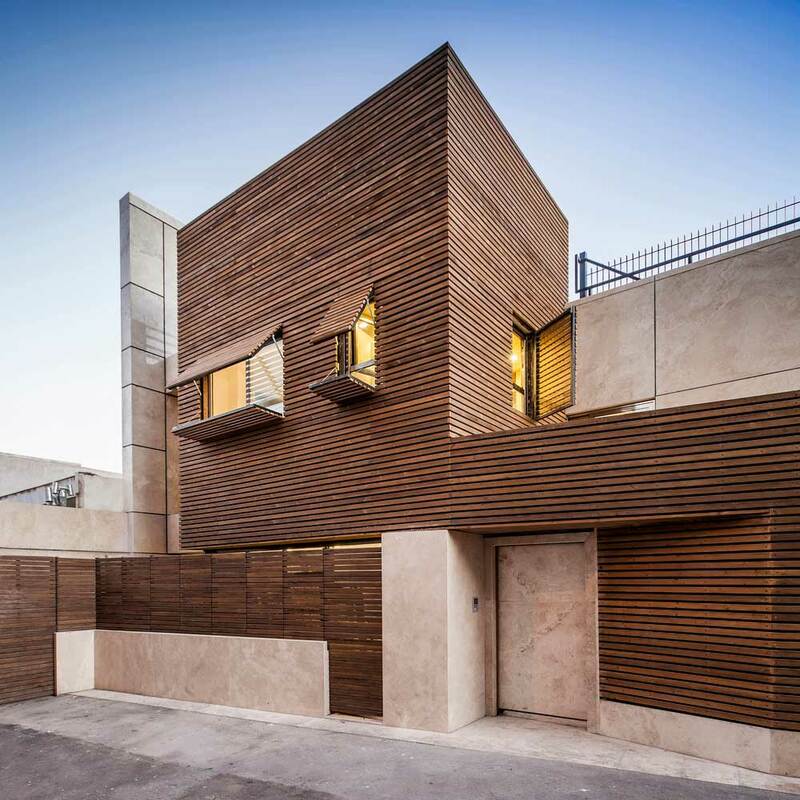 Faced with significant site restraints and privacy issues this house is a little diamond in the rough, a truly sincere, introspected and resourceful design. 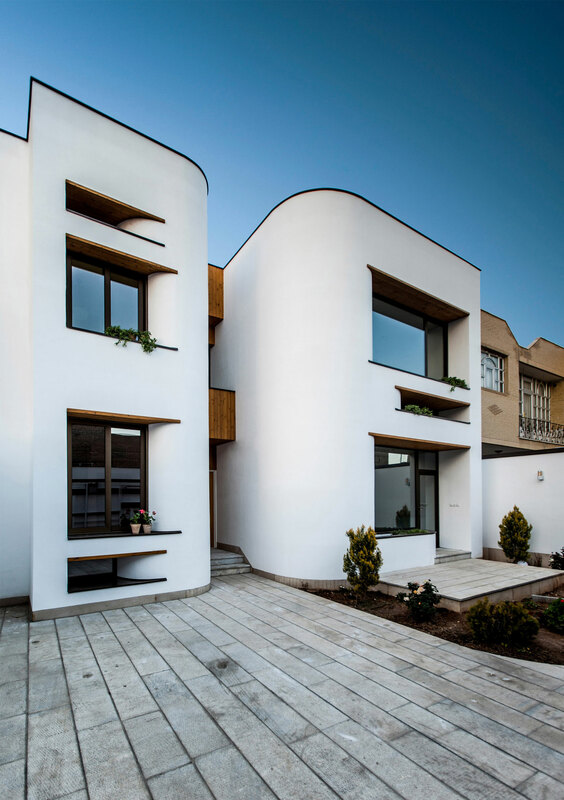 Bahar House by Ayeneh Office // This family home in the Isfahan province of Najafbad has a curved white cement exterior which starkly contrasts with the ceramic and brick facades of its immediate neighbours. 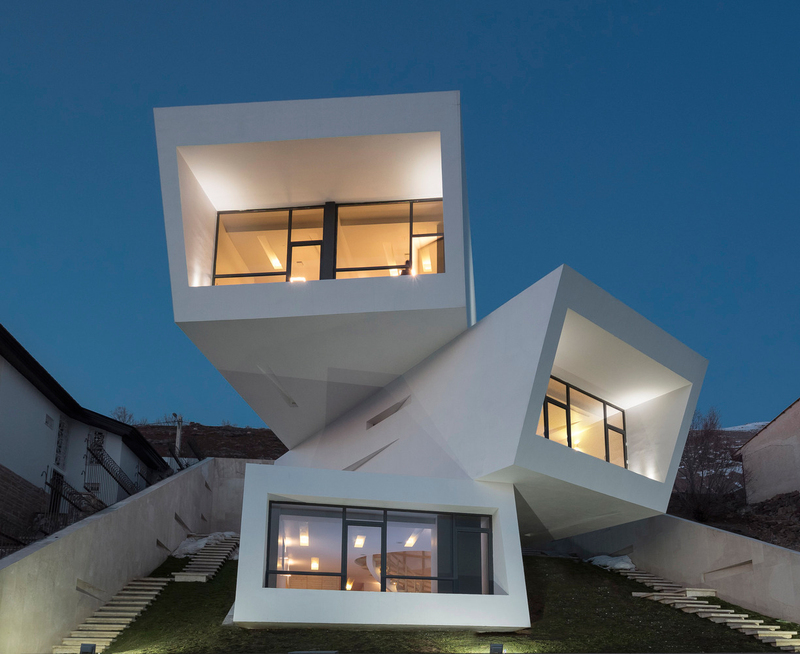 The building is divided into two sides with different functional areas. The east wing houses the public spaces including the kitchen, living room, dining area and guest hall, whereas the west accommodates the private areas such as bedrooms and bathrooms. Small terraces deep within the internal layout capture natural daylight and provide an intimate area for the kids to play in. 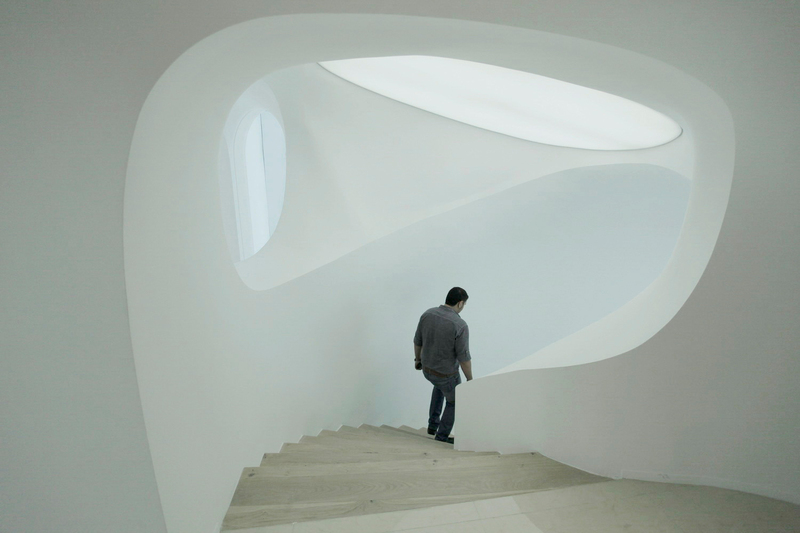 The central element of the building is the staircase that opens up to an expansive curved void. What an absolute stunner! It’s such a beautiful and daring gesture particularly within a domestic setting. 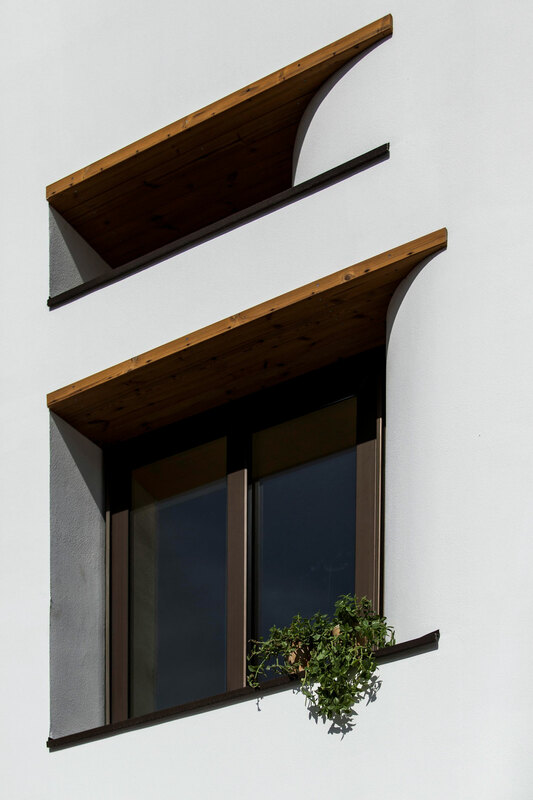 Andarzgoo Residential Building by Ayeneh Office // The design of Andarzgoo Residential Building by Ayenah Office focuses on simplicity and aims to provide excellent amenity. 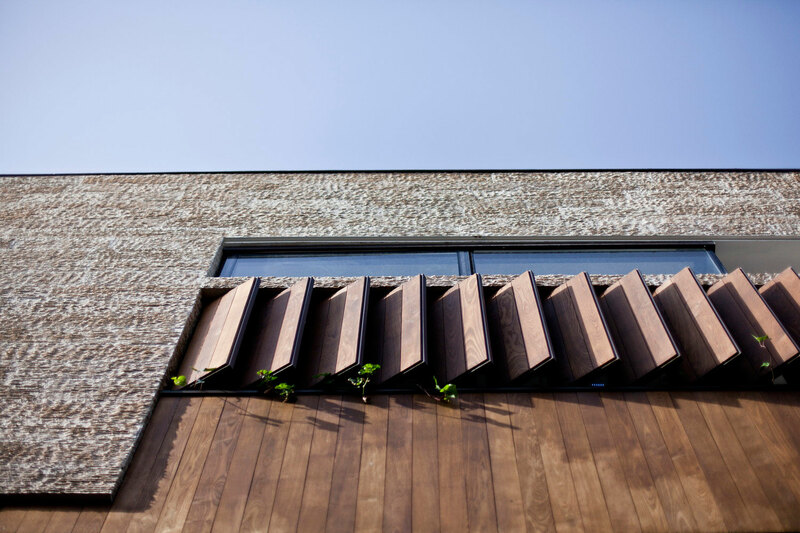 The facade is made from cut and unpolished granite stone that provides a neutral and sophisticated skin with the inclusion of timber bi-fold screens. 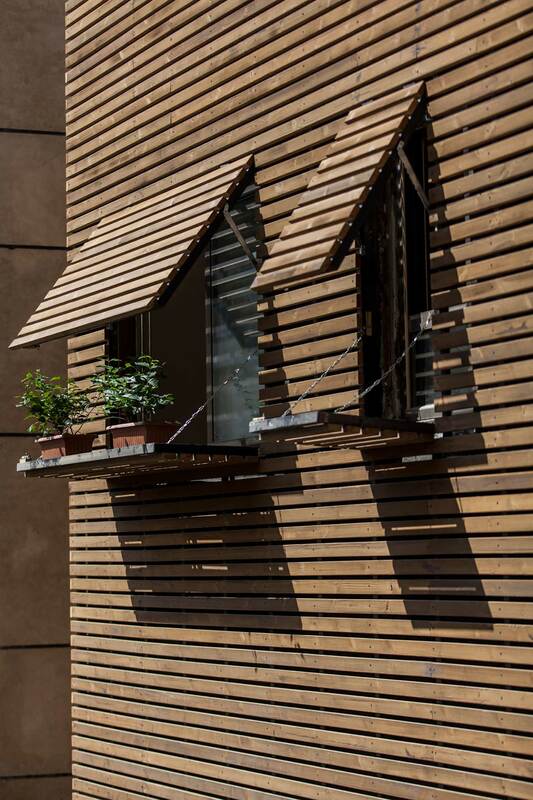 These screens can be opened or closed at different times to control the view and daylight and they also open up to gorgeous little terraces. 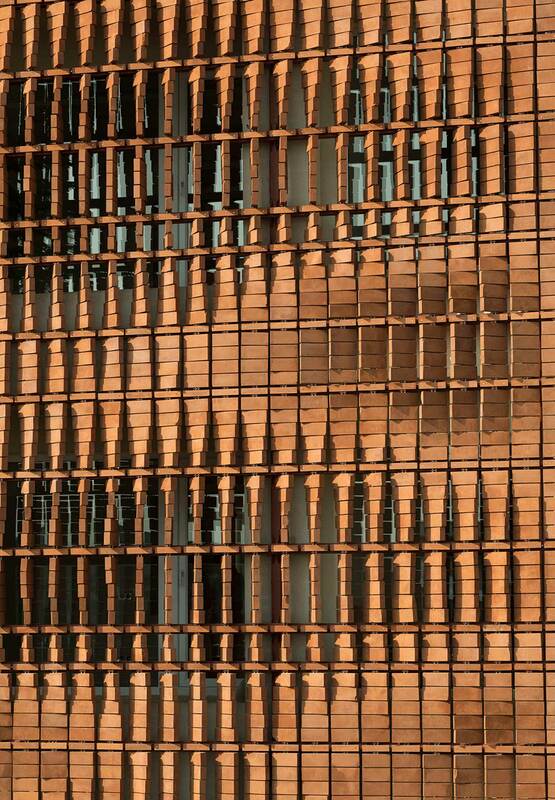 The terraces are not a typical continuous form on the façade, but are rather transparent volumes inserted to break up space. 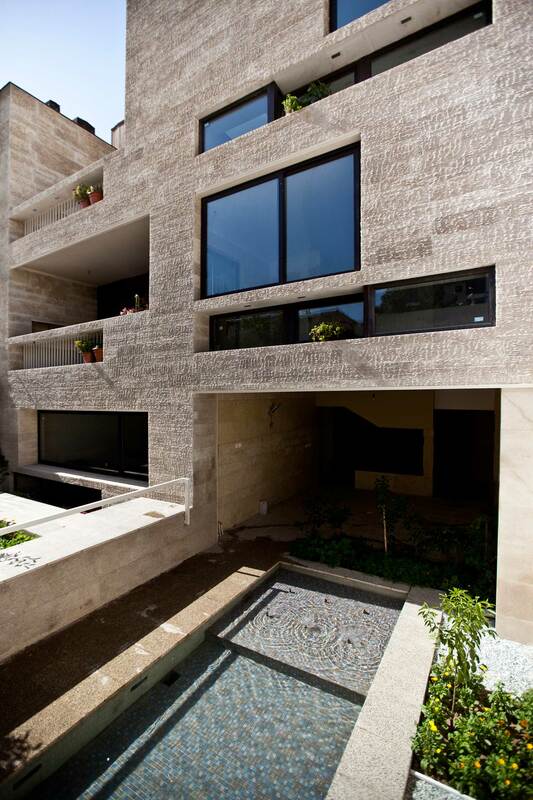 Introduced at different locations on every level, the terraces are welcomed additions to apartment living. 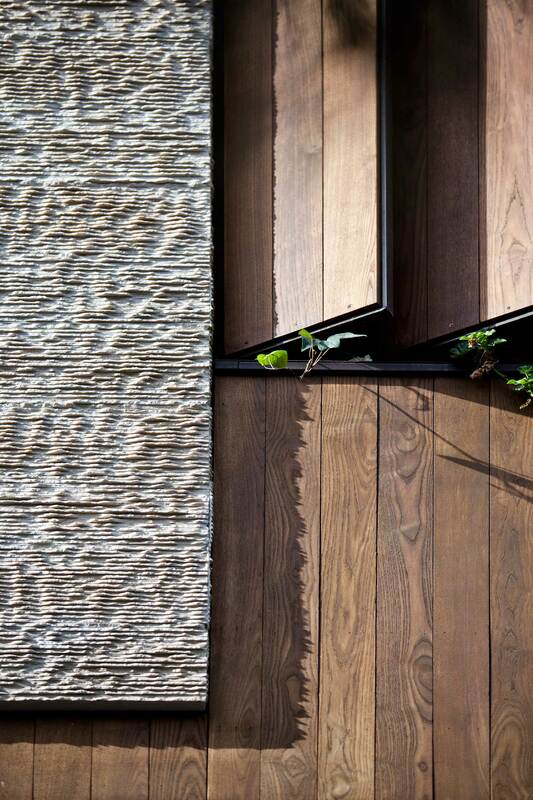 All of this lies behind such an unassuming façade – very clever indeed. Photography by Mostafa Karbasi & Parham Taghioff. 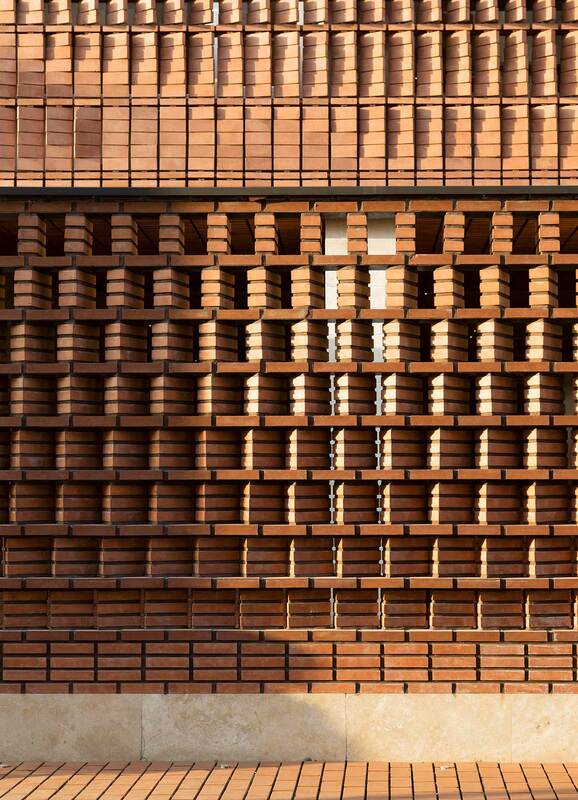 Cloaked in Bricks by Admun Design & Construction Studio // When I first laid eyes upon this jaw dropping brick façade I let out little squeals of excitement. A lot ‘oohs’ and ‘ahhs’ but can you blame me? 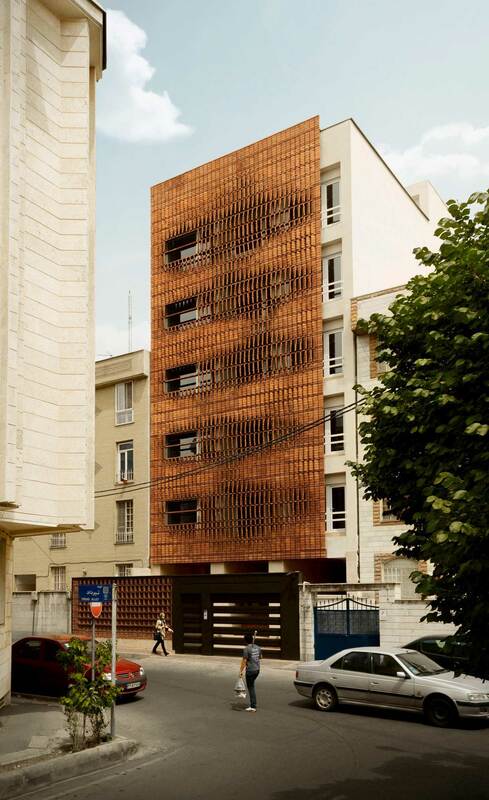 Apartment building Cloaked in Bricks by Admun Design & Construction Studio is an attempt to address the current pressures on residential architecture in Tehran. With increased housing demands and high land prices the temptation is for developers to focus on vertical growth to maximise profits (sound familiar?). 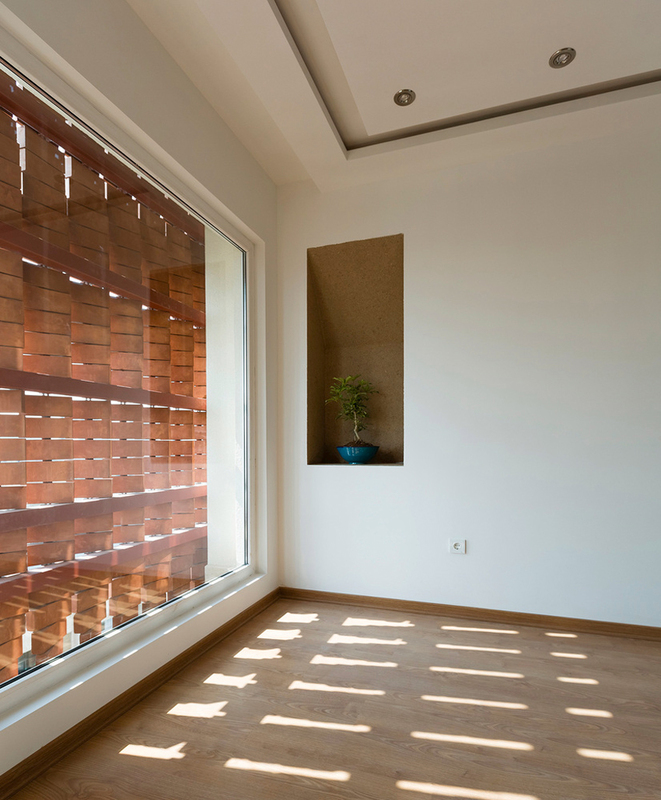 Conversely, this building focuses on quality of living and addresses the key issues of privacy, moderating light and minimising external noise. 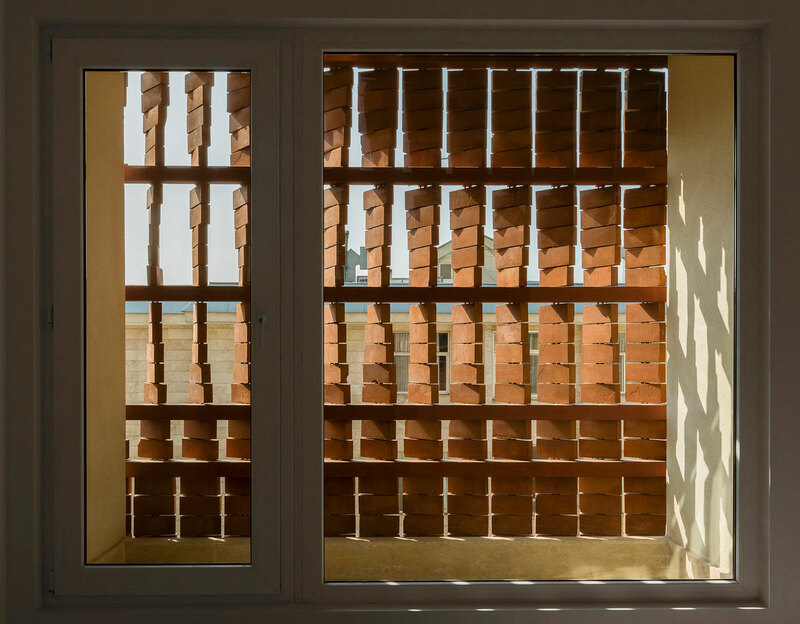 The architect’s solution was to cover the building in a grid of openings using brick, the most common building material available. 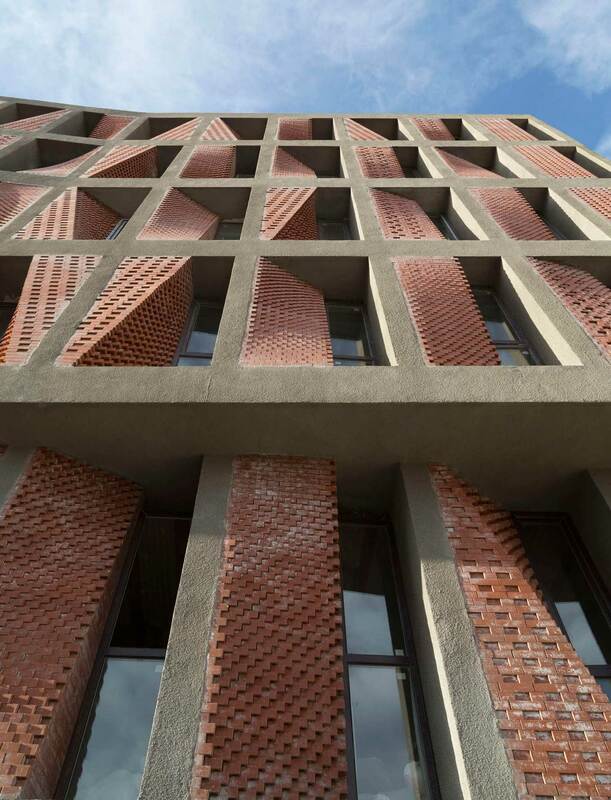 Rotated and splayed at specific angles, the bricks create apertures that take advantage of the best views and also allow light to gently filter into the building. 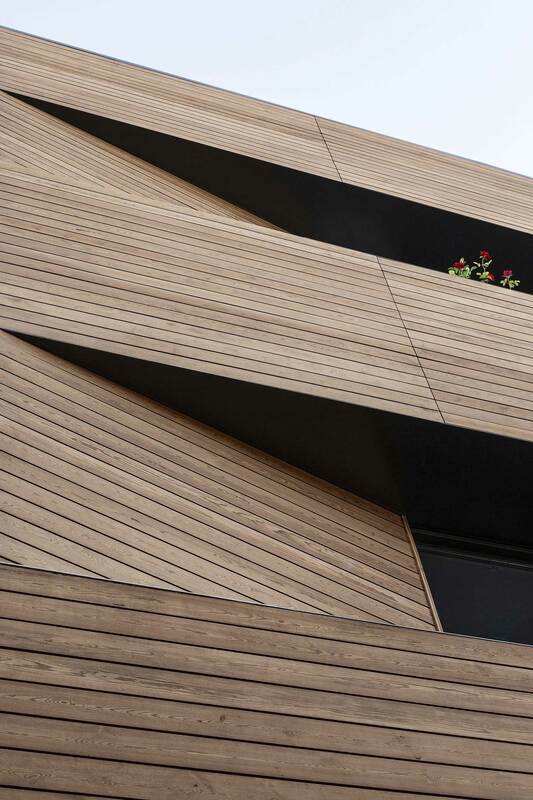 The code-like pattern is visually remarkable and mimics the chaotic, undulating skyline of Tehran. 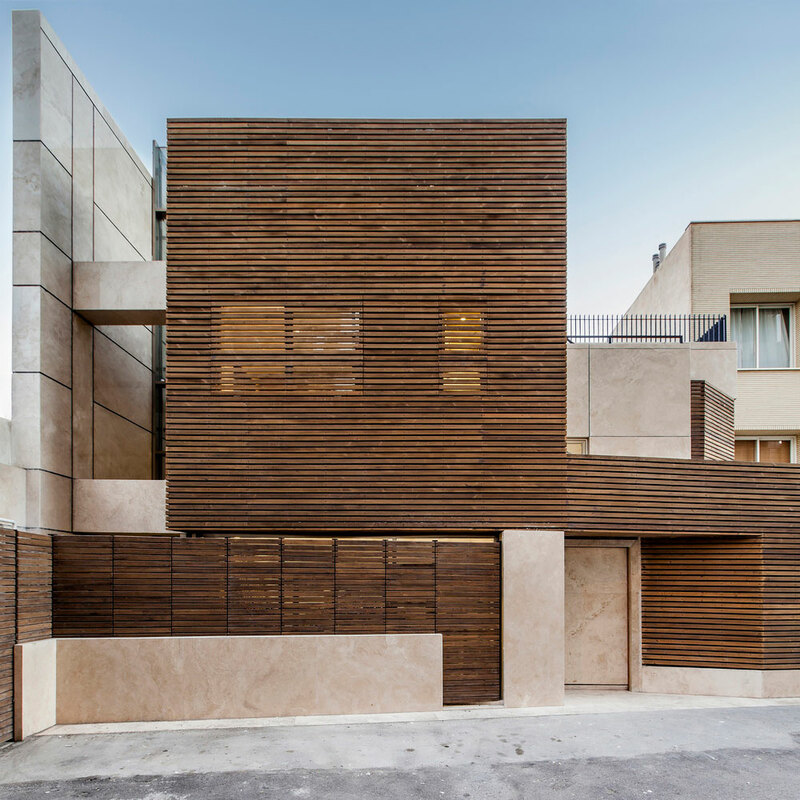 House in Isfahan by Logical Process in Architectural Design Office // House in Isfahan is an interesting mix of form and materials. 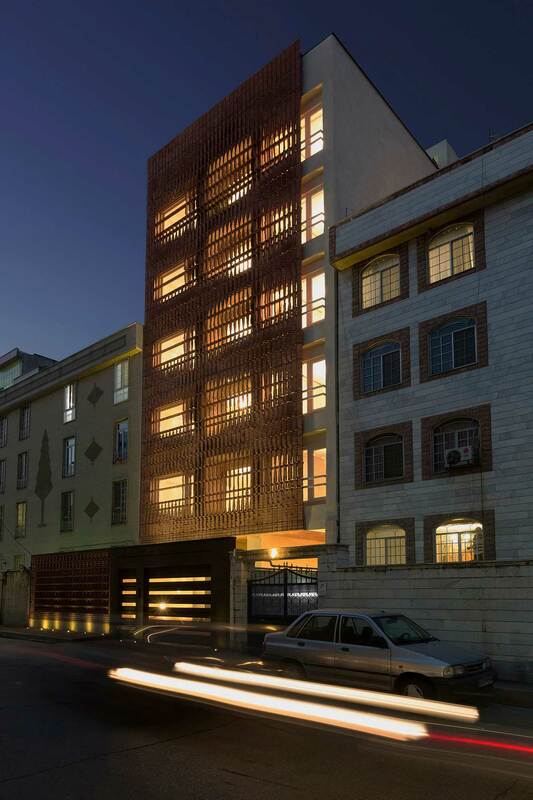 Designed by Logical Process in Architectural Design Office, this residential building had to comply with strict municipal rules and regulations. 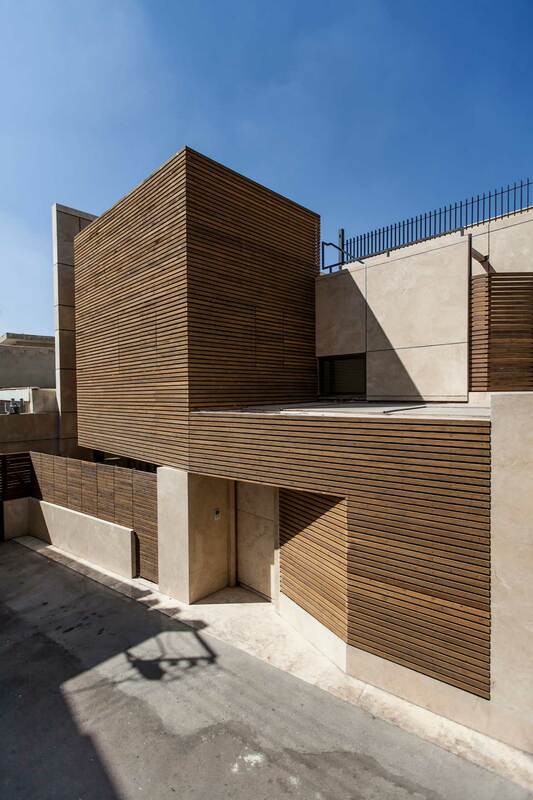 The north facade is therefore more closed off and concealed with high windows and thick timber shutters while the south elevation is open and expansive. Simple, sensitive and functional, what more could you ask for? Photography by PhotographsParham Taghioff & Ashkan Radnia. 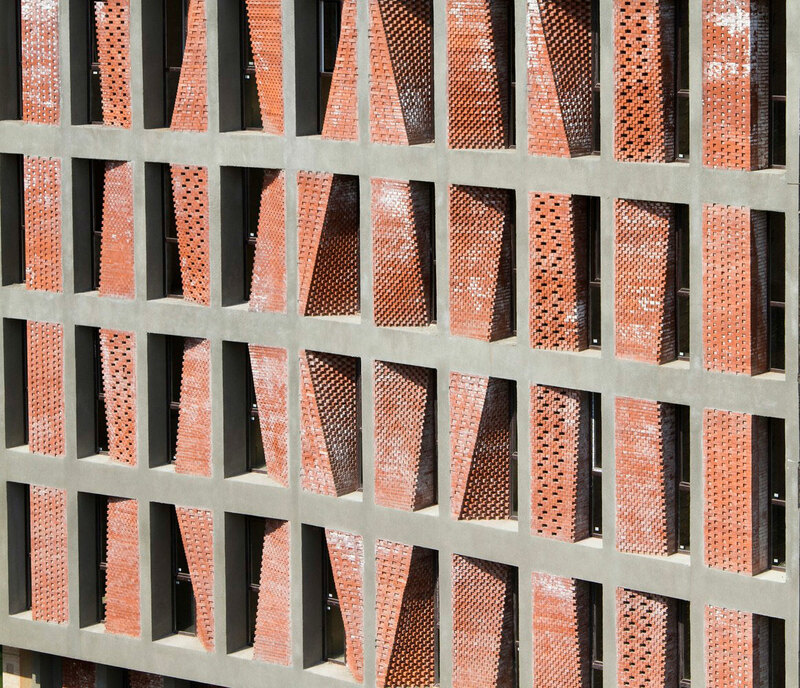 Kahrizak Residential Project by CAAT Studio // If you haven’t noticed, brick is used in some incredibly creative ways in Iranian architecture. 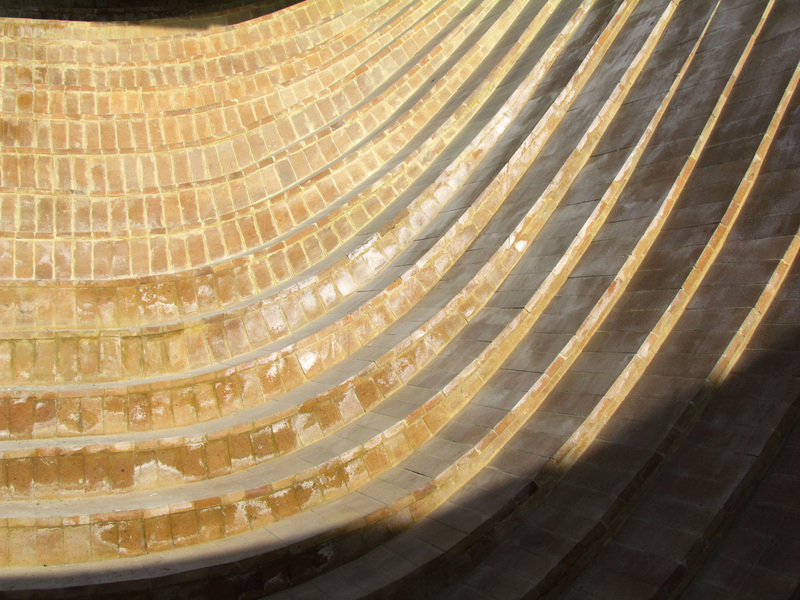 This is no surprise as Iran has a long ceramic history and traditional brick kilns can still be found all over the country. 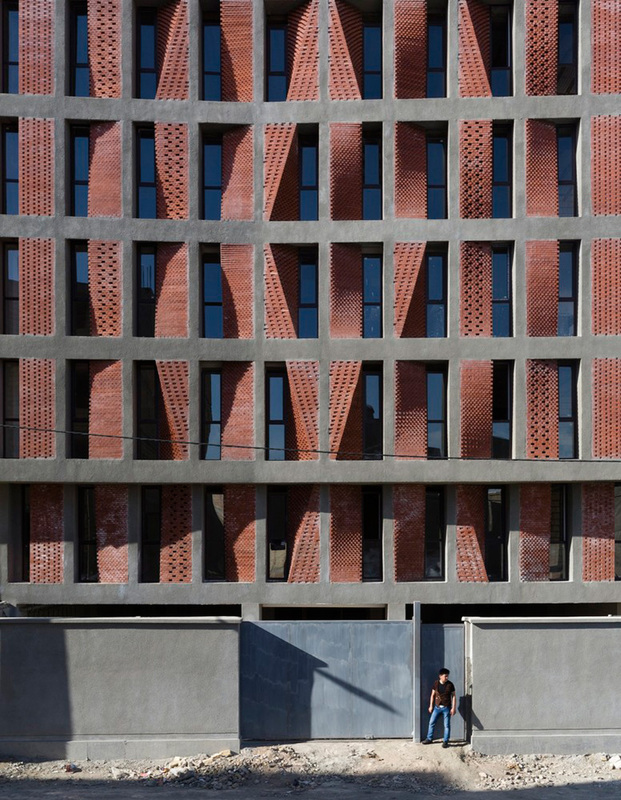 Kahrizak Residential Project by CAAT Studio uses bricks in mind-bending ways with twisting, geometric patterns. 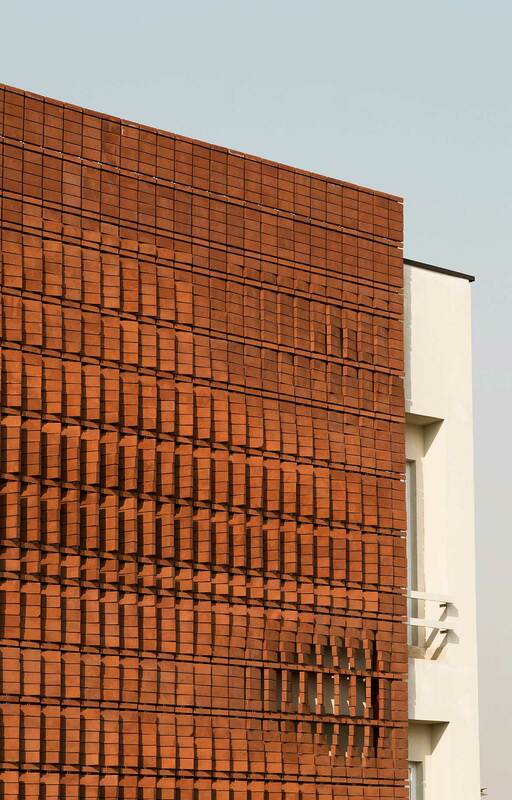 21 different brick modules form the funky facade and provide adequate shading as well as plenty of natural light. Formerly a rural district, the town of Kahrizak has seen massive growth in size and population due to rapid urban sprawl. Farms and agricultural land have given way to repetitive apartments and shops. 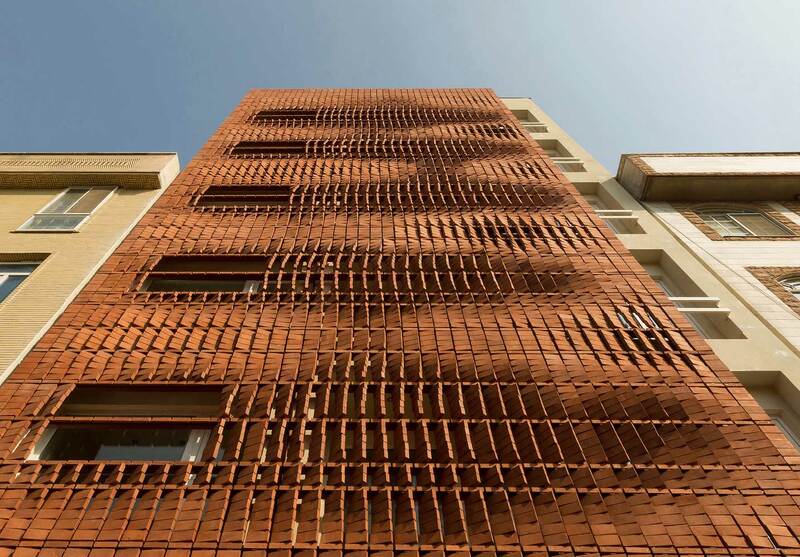 As with most apartment blocks in the region, this project was completed on a shoestring budget using local materials and a local labour force. It’s encouraging to see that good design can be unconventional, affordable and accessible. Bloody brilliant! 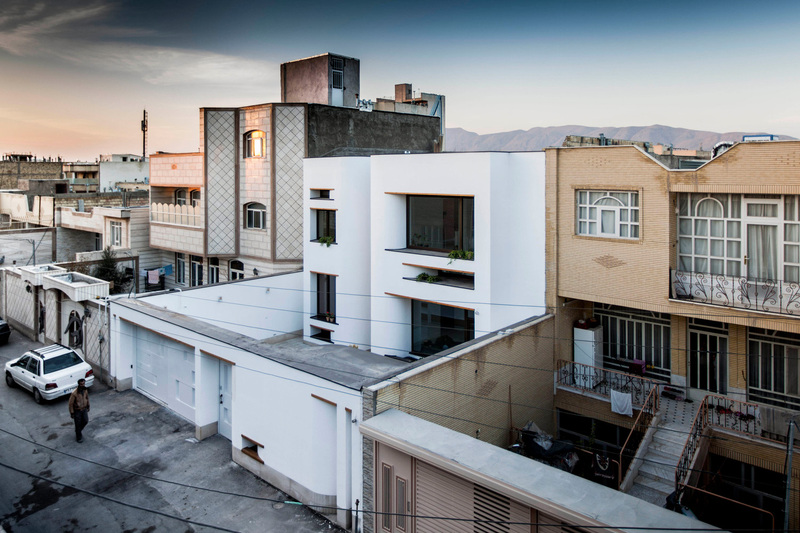 Images courtesy of Reza Najafian. 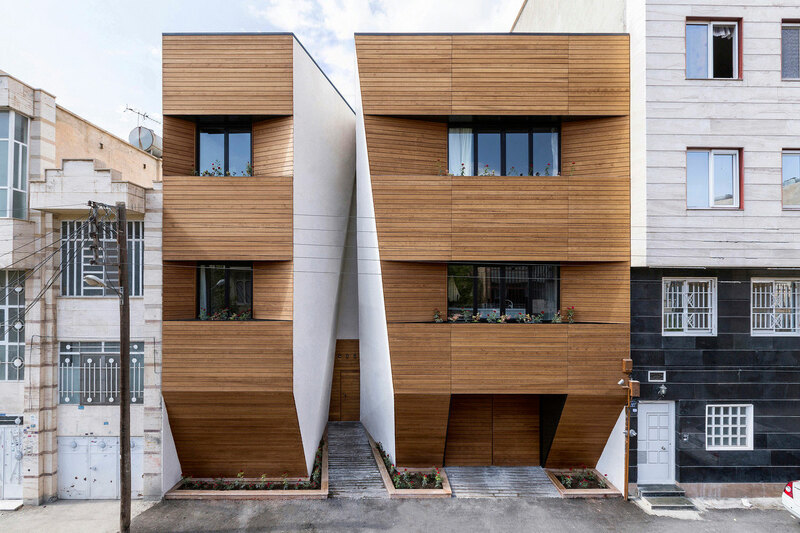 Afsharian’s House by ReNa Design // Afsharian’s House by ReNa Design is a three storey family home that provides separate units for parents and their two children. The unique form is conceived as a wooden cube with a crack or crevasse through. 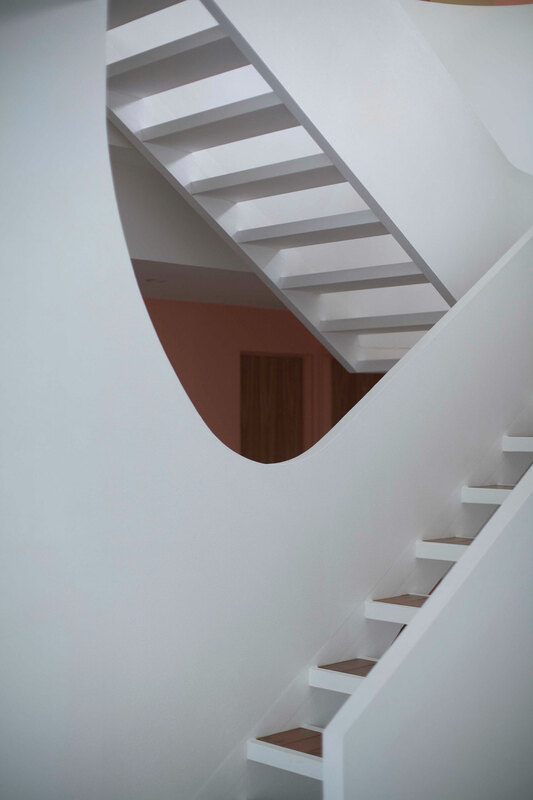 The divide not only exposes the entrance but also partitions space on the upper levels. I enjoy the subtle peeling away of the building’s skin to create the garage and balconies. 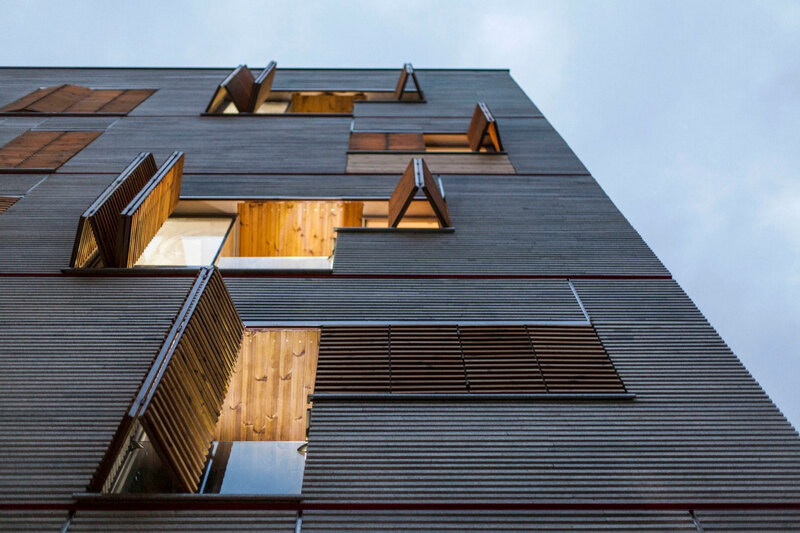 This is another stellar example of residential typologies being challenged in a daring and vibrant way. Selected Projects by Studio E.O Stockholm.